Plus, the danger facing baseball pitchers and why athletes are eating uncooked eggs. 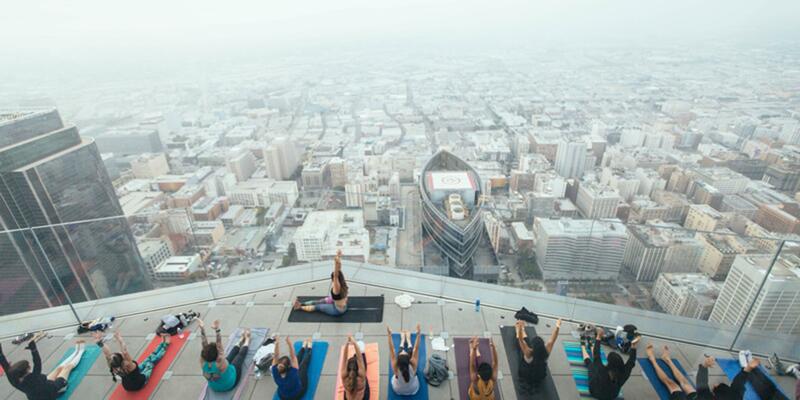 practice your warrior i from the ultimate vantage point: atop california’s tallest open-air observation deck in l.a.
here's what happens when you run 187 consecutive days in 187 different pairs of shoes. if you're afraid of heights, start by climbing these mountains that feature rope assists. pitchers are getting hurt more than ever and it turns out that fastball speed is the primary culprit. some athletes are eating raw eggs in the hopes of getting more nutritional value, but they probably shouldn't.